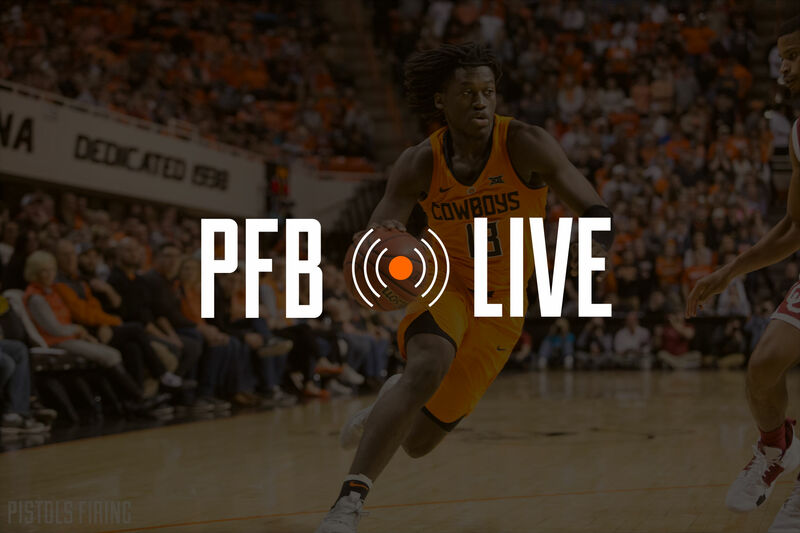 PFB Live: Can Oklahoma State Earn Back-to-Back Ws in Allen Fieldhouse? The comment section is now open. The Jayhawks used a barrage of 3-pointers to push their lead to as high as 15. OSU needs to put something together quickly if it wants to get back into. Doesn 12 with seven minutes left. It’s halftime and we are knotted up at 36 each. The Cowboys are led by Cam McGriff with 11 points on 3-of-7 shooting. Crime Dog also has three rebounds and a steal. Lindy Waters has 10 points on four field goal attempts. The good news for OSU is that somehow in Lawrence, no Cowboy has more than one personal foul. Here’s a look at your first half stats. 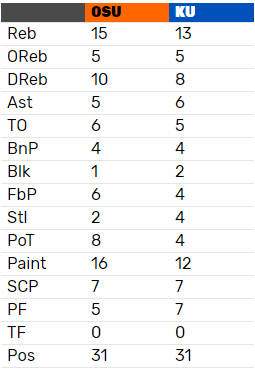 Despite five early turnovers to Kansas’ two, the Pokes are hanging around thanks to some hustle plays from the likes of Cam McGriff and Curtis Jones. Our man Marshall Scott has boots on the ground inside the Phog. If you aren’t already following him, you need to be. KU is shooting 71 percent from the field to this point. We’re off and running in Lawrence. KU is out to a quick 7-3 lead, but Yor Anei is showing his improved offensive game. Oklahoma State is on the road at Kansas to try to shock the Rock Chalk faithful for consecutive years. Despite a down year — at least by Kansas standards — Bill Self’s Jayhawks have yet to lose at home in 12 tries. Can Saturday morning’s visit from Mike Boynton and Co. be unlucky No. 13? The Cowboys themselves are trudging through a down year — by anyone’s standards — and are coming off of a gut punch of a loss at TCU. But Boynton is 2-1 against the perennial class of the Big 12 and 1-0 in Lawrence. Something’s gotta give. So kick back, grab your heart medicine and prepare all of your the Big 12 is rigged and I can see the blue jersey through your white stripes, Ref takes and let’s get through this thing together.